Theresa May has said she hopes her cabinet will be able to "discuss and decide on a substantive way forward" on Brexit at their crucial Friday awayday. The UK prime minister told Germany's Angela Merkel she hoped this would lead to an increase in the "pace and intensity" of UK-EU negotiations. 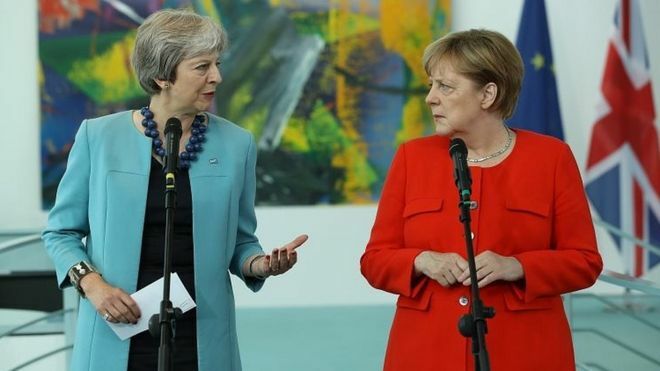 As they met in Berlin, Mrs Merkel said Brexit talks were at a "crucial phase". She said that a political framework for future relations needed to be clear by October.